The kitchen or bathroom cabinets make a huge impact on the look and operations of the room. Not only do they provide the necessary storage space needed for these areas, but they often occupy a large amount of visual space. 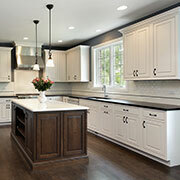 Making it important to select the right cabinet color and design that will create the rooms overall style and tone. To help you find the perfect cabinet for your home and decor, we provide various options from the top cabinet brands. Hardwood plywood consists of a panel made from layers of wood veneer or veneer in combination with lumber core, particleboard core, MDF core or hardboard core. Cabinets made from hardwood plywood are a great choice for individuals that want an efficient and environmentally-friendly material. It also has a beautiful grain and appearance. Hardwood plywood is strong and durable, so it will last for years. We offer hardwood plywood from Columbia Forest Products, the largest manufacturer in North America, where you will surely find the right option to fit your design. Wood products from China, Russia, Indonesia, and Malaysia is imported plywood. This material offers many of the same characteristics as hardwood plywood but comes in fewer species and finishes. It is typically priced under domestically-produced hardwood plywood. 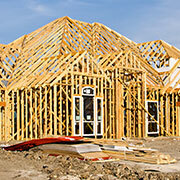 Imported plywood may be perfect for various projects and applications. We provide products from Far East American. They are an industry leader specializing in imported plywood products that are of high quality and durability. Laminate panels are made by using heat to fuse a melamine plastic sheet of décor paper to particleboard or MDF. Cabinets made from thermally fused laminate panels offer far greater style options and a new, modern look compared to cabinets made of traditional wood. Arauco, Panolam, and Roseburg are all manufactures that provide laminate cabinet products that provide superior performance, function and design. All doors require a hinge or close mechanism to work properly. Not only are they functional hardware that fits your kitchen or bathroom design, but their look should coordinate with the rest of the room. Select from high-quality cabinet hinge options from Grass and Amerock that come in different styles, colors, and finishes that will provide long-lasting performance and a cohesive look. The small details of cabinet pulls, handles and knobs can enhance the look of an entire room. These small decorative furniture hardware provide a modern, classic or traditional style of decor. Installing new pulls or knobs is a quick and easy update that requires few tools, minimal effort, and is low cost. Also, doing a minor kitchen remodel like replacing cabinetry hardware is considered to be in the top five home improvement projects with the highest return on investment. 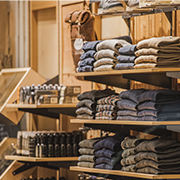 We provide options from both Amerock and Berenson in virtually every style, material, and finish. Keeping cabinets, doors, or chests closed is important for the safety and function of your home. If this quality hardware is not in place, then items can fall out and create possible hazards. Finding the right mechanisms to ensure cabinet doors stay closed in your kitchen and bathroom is essential to any build or remodel. There is a wide selection of quality catches, latches, and locks from trusted brands like Amerock, Knape & Vogt and Rev-A-Shelf. Choose from magnetic locks, roller catches, key drawer locks and more to fit your design needs. There are some cabinets in a kitchen or bathroom that may require a little extra security. Whether it will be holding medication, expensive cutlery or other valuables that you way not want every person who enters your home to have easy access to. In case this type of situation occurs, it is nice to give yourself a greater piece of mind by installing a few cabinet locks. The CompX Timberline lock products provide a large selection of the highest quality locks that will meet any of your door security needs. High-quality cabinet drawer slides and lifts provide easy access to drawer contents and prevent damage caused by daily wear to extend the life of drawers. Grass, Accuride, Knape & Vogt all manufacture various heavy-duty styles that will assure drawers close quietly and prevent individuals from accidentally slamming their fingers. Sometimes the traditional door with hinges does not fit a home or structures design needs or look. This issue can be solved by installing a door that folds out or slides open. With rustic and modern design styles becoming more popular sliding barn doors, glass sliding doors and folding closet doors are greatly sought after. These more nontraditional door hardware systems are provided by Sugatsune and Knape & Vogt in a wide range of sizes and functions to fit the needs of your project. The amount of storage and organization systems provided in a kitchen and bathroom will greatly influence the day to day operations in your home. 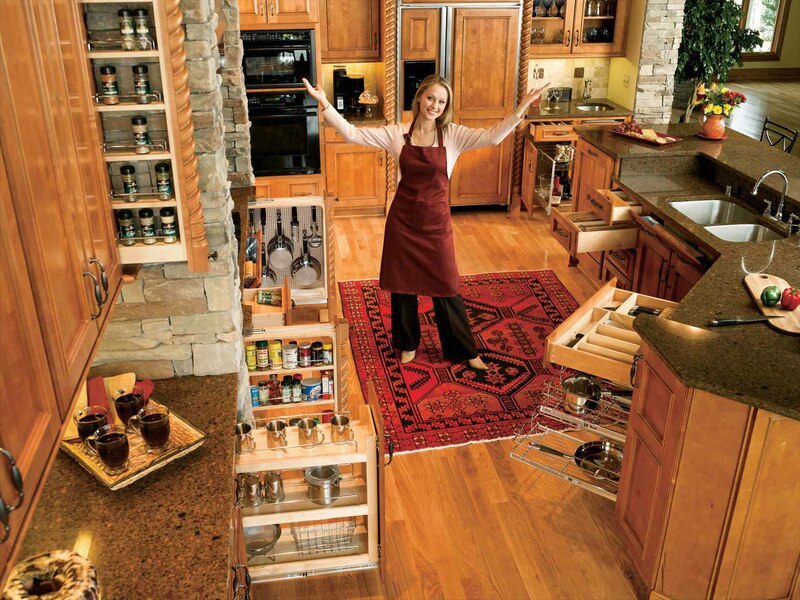 There are many shelving inserts for pantrys, trays for spices or silverware, and baskets to hold bathroom essentials. These systems allow you to hide unsightly items such as garbage cans and laundry baskets or better organize your closet and grocery items. Having a well-organized home creates a relaxing and visually appealing environment that makes finding the things you need everyday quick and simple. Find everything you need to fully organize your home with our large array of product offerings from Rev-A-Shelf. Nothing compares to the convenience and luxury of a well-lit kitchen and bathroom. Although many ceiling lighting fixtures can provide enough illumination to allow you to get the job done, there are many areas that it can be hard for it to reach. Underneath or inside cabinets and inside closets or pantries are a few of the most common areas where this problem occurs. It is good to know that this is something that can be easily solved in an affordable way. 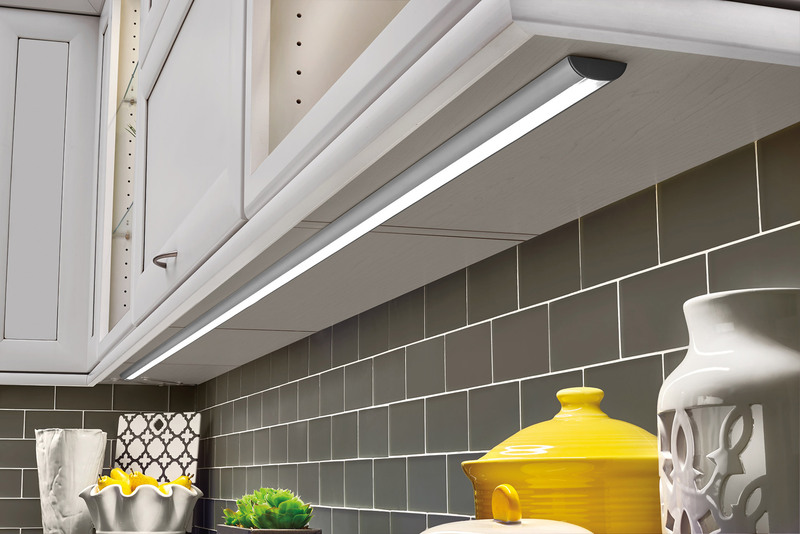 We offer many Tresco lighting products which include puck lights, flexible light strips, linear lights and more that can be used in residential cabinets, closets, retail fixtures and in commercial exhibits or applications. These small lights are very energy efficient, adding little electric cost and will provide a big help when you’re digging through a cabinet or closet. Wherever and whatever project you are completing, make sure that all of your amazing work can be seen by adding some Tresco LED lighting. The most commonly used material for kitchen and bathroom countertops is laminate. Laminate is a material made of plastic layers that are bonded to particleboard or craft paper in order to create a solid surface. A laminate countertop is often used due to its low cost and high resistance to heat. It’s heat resistance is perfect for the kitchen due to cooking activities that typically involve hot pots or pans and for the bathroom due to hot hair styling tools used. Laminate is also a great countertop material due to the wide variety of color and style options available. These designs include surfaces that resemble the highly sought after look of granite, marble, and quartz. We provide laminate and solid surface options from the brand Formica, which is a large laminate manufacturer, so much that laminate is often referred to as “Formica”. Formica Laminate provides an incredible range of colors and patterns that can fit the most traditional to the most modern of home styles. Changing the countertop can truly transform the look of an entire room and that is by far the easiest to accomplish with laminate. A butcher block countertop gives your kitchen a professional look that is warm and natural. Butcher block is made of straight cuts of wood that are glued together into thick slabs. These hardwood countertops are highly durable and provide a very sturdy and stable kitchen work surface. These wood countertops are beautifully versatile as they can be used raw or stained to truly fit a traditional, rustic or modern style. They do although require some maintenance because wood gets scratched, cut and will need to be oiled to prevent cracking. Our John Boos brand butcher block countertops are made of high-quality kiln-dried wood that resists warping and shrinking. These wood countertops offer a natural look that is sure to inspire some amazing meals. Edgebanding is used to cover the exposed sides of materials such as plywood, particleboard, or MDF on which high-pressure laminate is affixed. 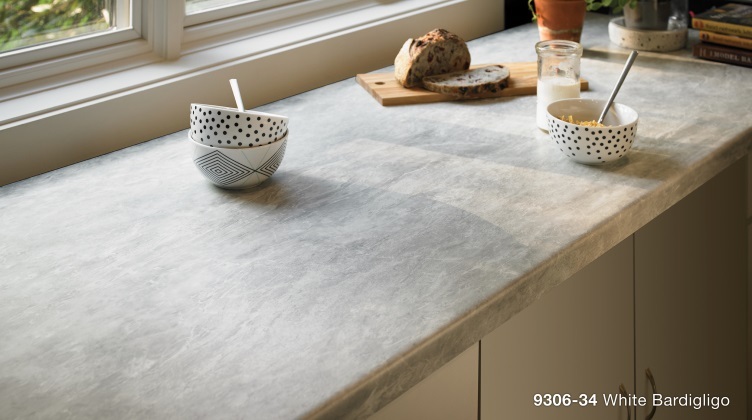 It increases the durability of a countertop and gives the appearance of a solid material. 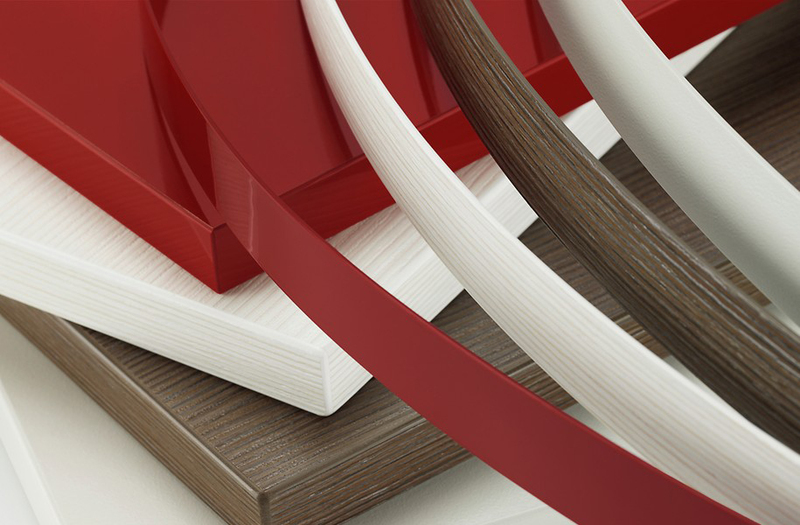 Amerhart carries a variety of options, including PVC edgebanding from REHAU, wood edgebanding from SR Wood, pre-glued edgeband from EdgeMate®, and peel and stick edgebanding from FastCap™. All kitchens and bathrooms require a sink. They are the focal point of the room and serve a necessary function that will likely be used multiple times per day. When choosing the sinks for your home it is most important to first consider how it will be used. Single bowl sinks are popular for their functionality and generous bowl size. A spacious single bowl kitchen sink is currently a common trend because they are very easy to use. Many homeowners prefer a sink with two bowls because they provide added washing space. The double bowl sink is a favorite due to the ability to wash dishes on one side and rinse them in the other. Low divide sinks are a great option for those who want the best of both a single bowl and double bowl sink. 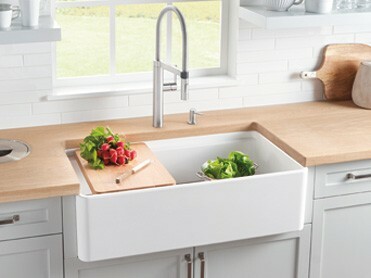 The low divider provides the look of a single bowl sink, but with the added functionality of having a double bowl sink. Stainless steel is the most popular material for kitchen sinks. It is a very functional material because it is both heat and stain resistant. Stainless is considered to be an affordable option, although the prices and quality of stainless steel sinks can have quite a large range. Amerhart offers Blanco stainless steel kitchen sinks, which are constructed to the world's highest manufacturing standard. These sinks are made with only premium-grade steel that is made to a certain set of quality specifications. 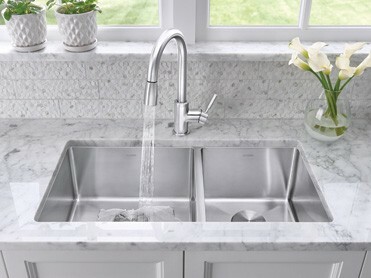 Blanco stainless steel sinks have a signature satin polished finish that is easy to clean. A Silgranit sink is made built from a Blanco patented granite composite material. 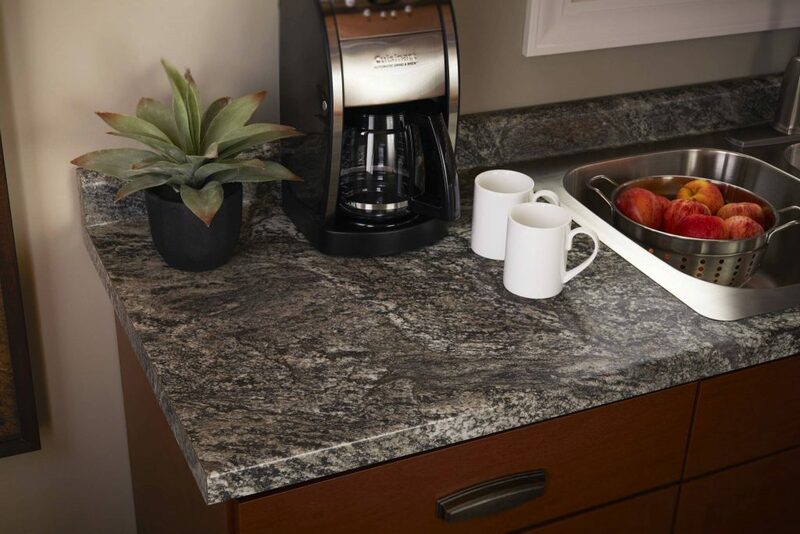 This material is constructed from 80% granite, which unlike pure granite will resist stains and is food safe. It provides a beautifully designed and durable and easy to clean sink. Blanco Silgranit kitchen sinks are also scratch and heat-resistant, making them a perfect addition to your cooking space. These sinks are available in 8 on-trend colors in both warm and cool tones to fit any home style and decor. A fireclay sink is made of ceramic material that is molded at very high temperatures. They are often used to offer vintage or rustic feel to a kitchen due to their apron style. The Blanco fireclay sinks are handcrafted, durable, shock-resistant, scratch-resistant, and stain-resistant. These sinks provide a farmhouse style and single basin that will meet the demands of a modern kitchen. The standard kitchen cabinet sizes come in increments of 3" starting at 9" wide and continuing upwards to 12", 15", 18" and on. Amerhart offers sinks in a wide range of sizes to fit most of those standards. Make sure to measure the cabinet size before selecting a kitchen sink. Bowl depth is an important factor to consider when choosing a sink. Deeper kitchen sinks provide more space in order to wash dishes or large items, such as pots, pans, and cookie sheets. While many people prefer the increased capacity for deep sinks, shallow sinks offer the convenience of reach-ability and ease of use some need. An elegant method of installation where the bowls are seamlessly mounted under the countertop. Works well-mounted granite, marble, and engineered stones. With this classical installation method the sink is inserted from above and its raised rim rests on top of the counter. Great for any countertop type. 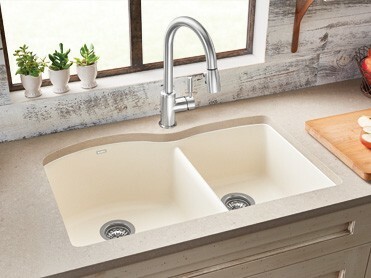 Apron front sinks are often used to create a farmhouse look. Choose from a rounded front for a more traditional look or a squared front for a contemporary look. Cutting Boards allowing you to slice and dice on top of the kitchen sink, saving valuable space. Colanders designed to work perfectly with your sink workstation, and rest accessibly to the side. Sink Grids that protect your sink and provide the perfect place for stacking silverware and dishware. 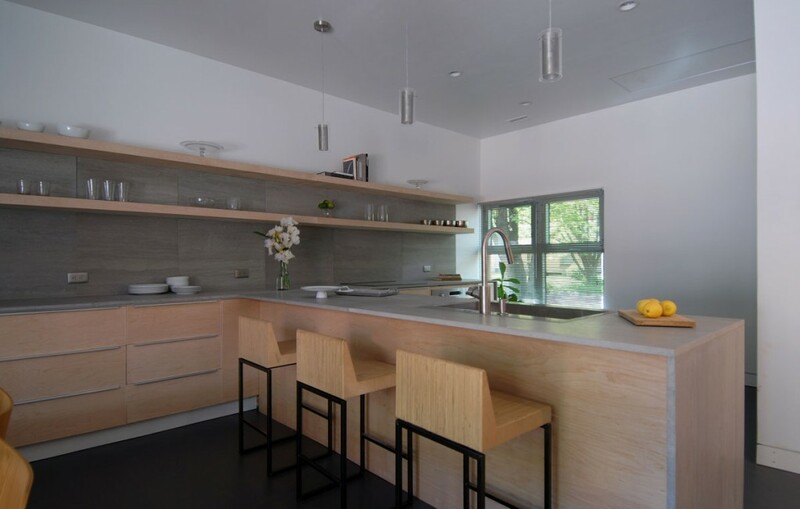 Compost Systems that store easily and elegantly out of sight beneath the countertop, giving you the space you need to work while supporting green initiatives. Workstations that keep utensils safe, organized, and within reach inside your sink. Strainers and covers to conveniently hide the drain when not in use and catch food scraps during meal preparation.